Happy Tuesday...The motto of TTT is to think outside the box. Well, today I literally want you to think outside the box. 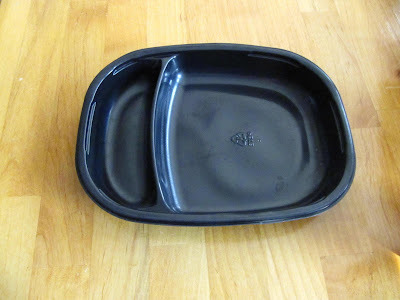 Boxes, containers and of course trash are all part of today's post. 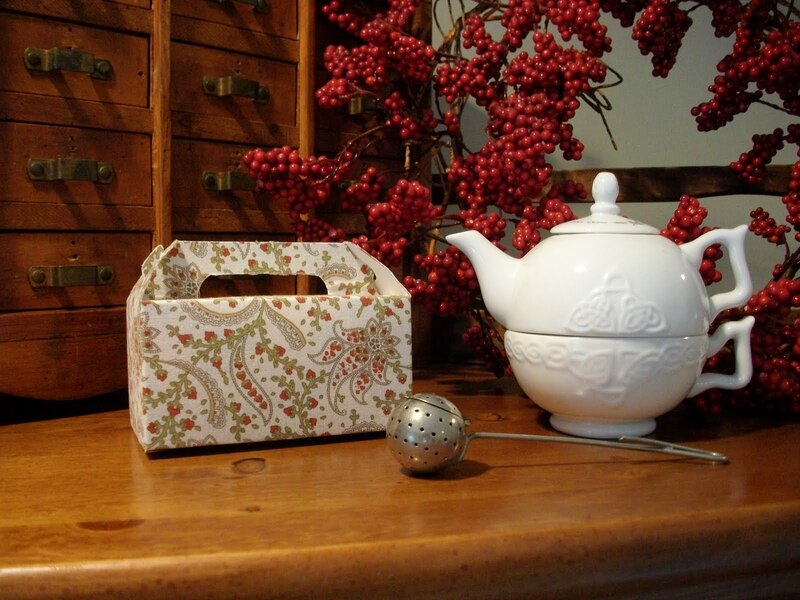 I am showing you different boxes and containers that we all might have in our homes right now. 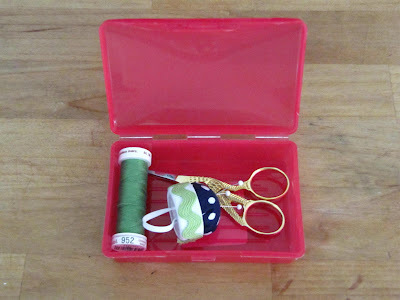 The pictures below are for sewing kits that you can keep in your purse or beside your favorite sewing chair. 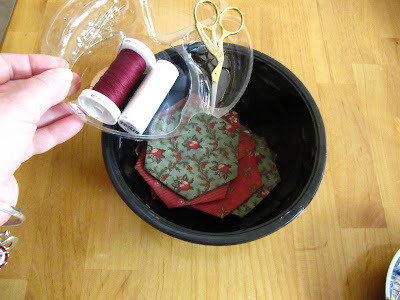 However, you can always use these ideas for other things in your life...not just for sewing. 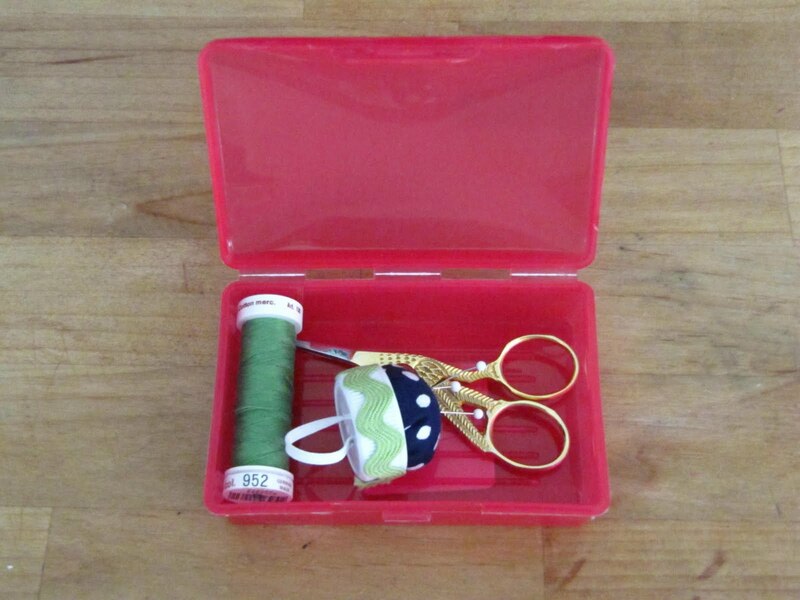 The kits can be used for make-up, little snack or craft kits for children or grandchildren, first aid kits etc. You name it...there's a place to put it. The first container I found in Burger King. Picture this scenario...My hubby and I are sitting at the table in Burger King across from each other. He's eating his favorite chicken sandwich and I'm eating a salad (trying to shed those winter pounds before I have to put on those shorts that are mocking me in the drawer.) 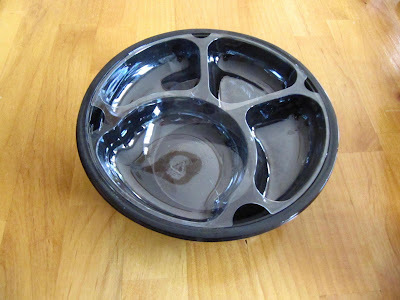 When I saw this container, which holds the salad on the bottom and all the fixings in the compartments on top, my first thought (out loud by the way) was...Oh my gosh this is too cute! (I really think I need trash therapy.) 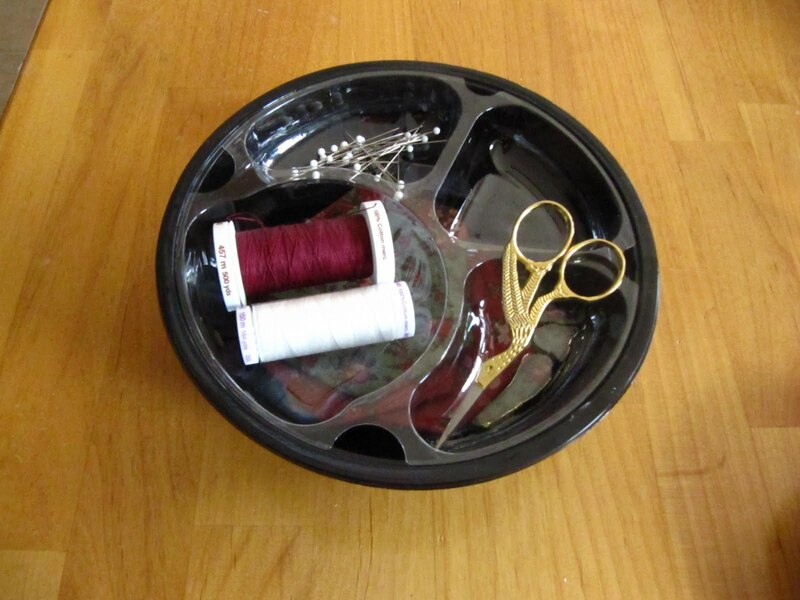 This is a sewing kit if I ever saw one. His words...please don't take that home. Too late. How about a pencil box!!! They come in so many different sizes and colors. 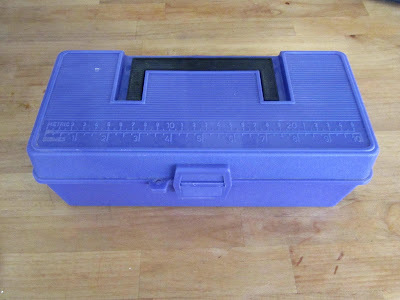 This is an old tool or tackle box. It's small enough to carry around any where. Another attempt to lose weight is Lean Cuisine...woo hoo frozen food containers. 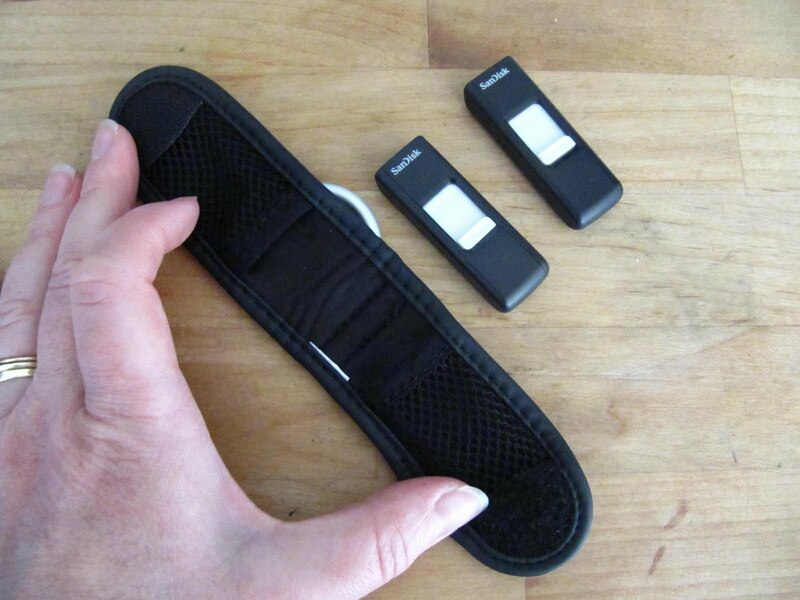 The possibilities are endless with these! Little compartments every where. Perfect by your favorite chair. How about a travel soap box for a kit in your purse. 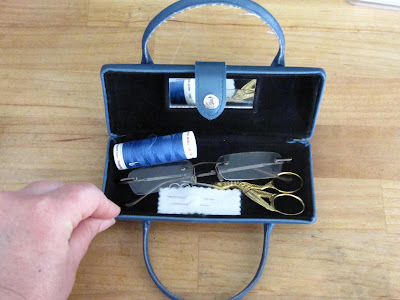 This would make a great first aid kit box as well as a sewing kit. 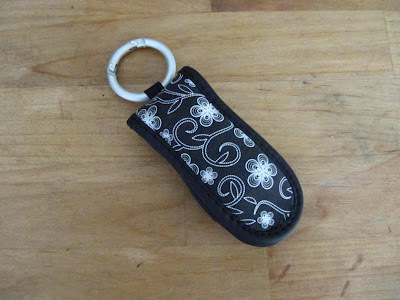 Eye glass cases...they're already in your purse anyway...why not add another one for a kit. 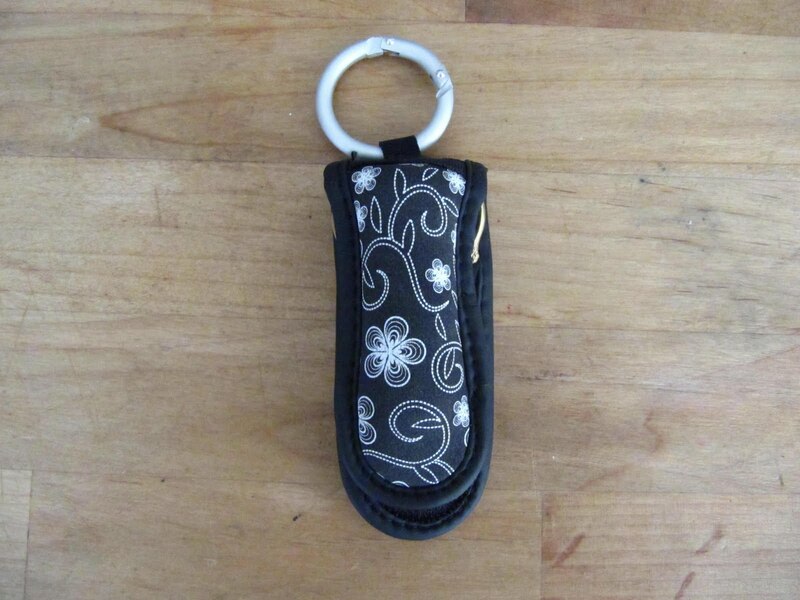 This is a lipstick case that my mother-in-law gave me. It was free with a purchase!!! This is an old camera case...who knew! This is a holder for memory sticks for your computer and a bonus key chain. There are two little compartments on either side for the sticks. How about thread on one side and scissors on the other. 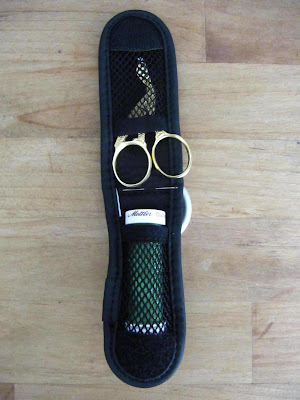 The middle fabric is perfect for needles and pins. 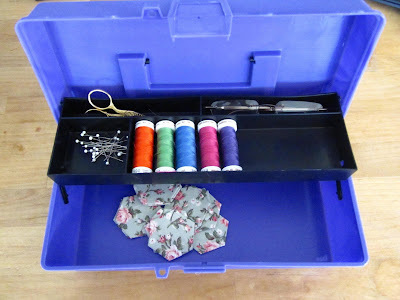 and this last one is any container that you find that can be transformed with fabric or pretty paper. The Tim Horton's mini donut box was a TTT post in the past, but how cute is that to carry around as a sewing kit. 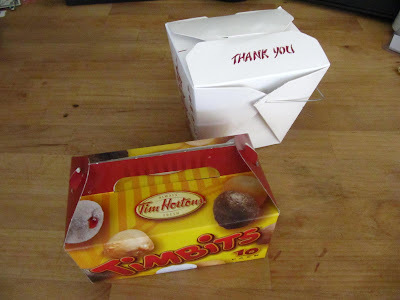 I'm working on that Chinese food take out box for a future post. Have a fantastic Tuesday and remember to always think twice when you see a box! 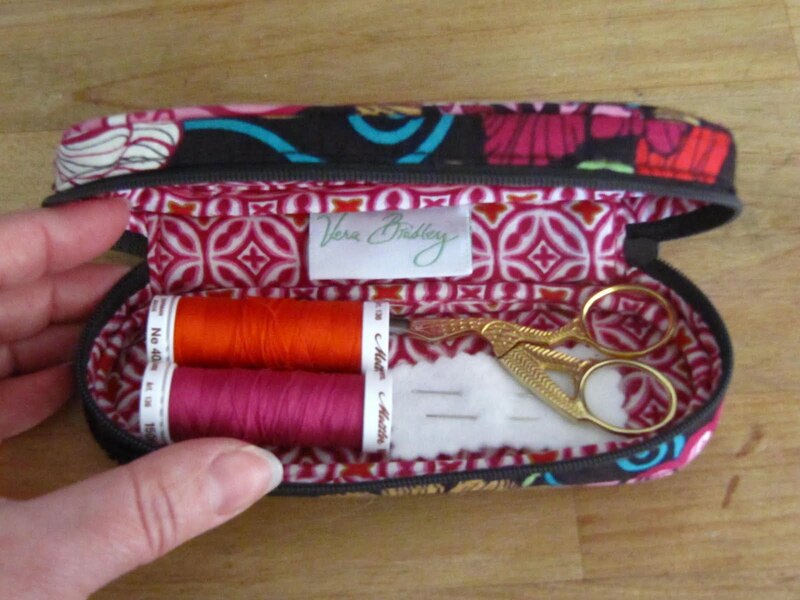 What do you use for a sewing kit? I love boxes and have many small stacks of all odd shaped boxes around the house. But i will start looking further a field at glass cases etc. Thanks so much for the wonderful ideas. 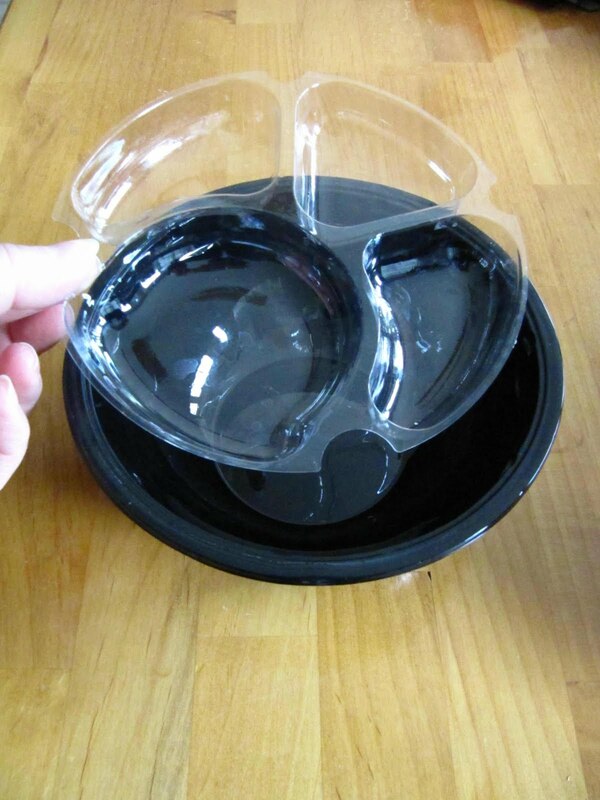 I will never look at any box or container the same way again. I need to go hunting through my house...this will be so fun! Thanks. Karen, your mind must be going all the time, I can just see the wheels turning. Great ideas!!! You are the greatest!!!!! good ideas. Who woulda thought?! 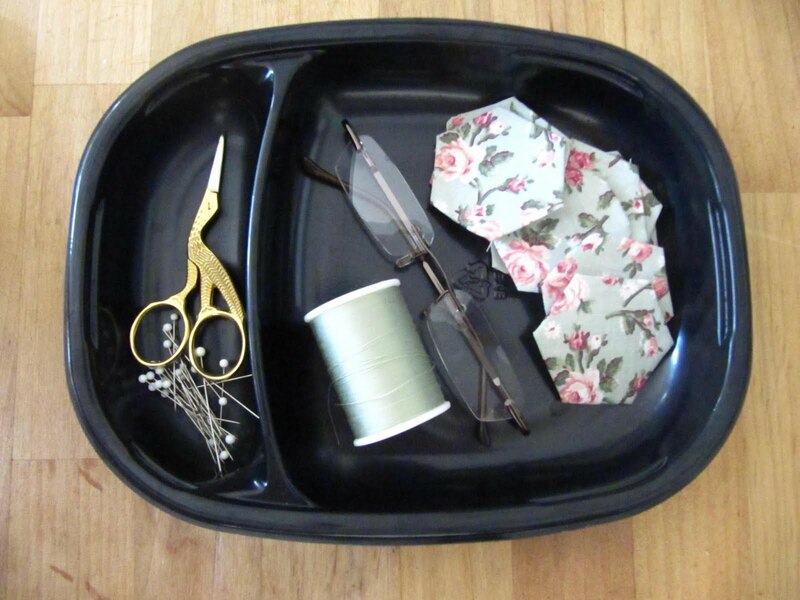 I carry my hand sewing stuff around in an antique egg basket. Love the idea of using a glass case! Good ideas! 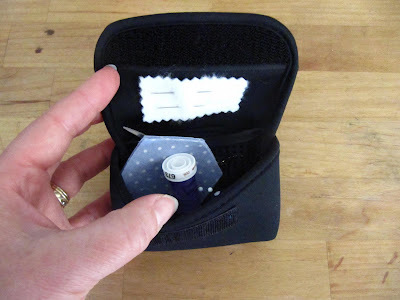 I use ziploc bags, small plastic freezer containers, empty plastic icecream containers, and I have a very useful plastic swimming glasses case for my rotary cutter. Had to laugh at the comment your hubby made..asking you please NOT to take that container home!!! 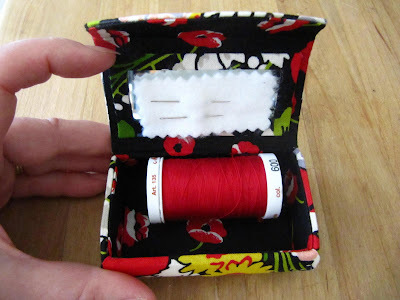 You need to remind him that you are saving money....that it is cheaper for you to turn THAT into a sewing kit than to go and buy one pre-made!!! LOL Thanks for some more good ideas! You are the queen of thinking out of the box(es)! I could just see your mind clicking....and clicking....what a way to go green....I don't know how you come up with this stuff but you are amazing...you are up there in my book!! You've got me thinking outside the box...you always seem to do that!! Thanks. 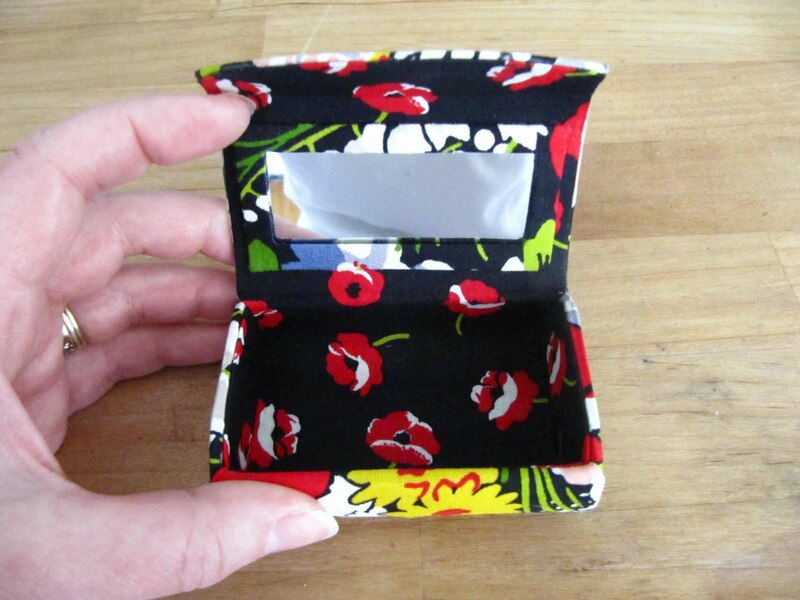 I have made several eye glass cases and I could turn them into little sewing kits! Keep being so clever, we need all the help we can get! Lots of inspiration and ideas where to get more containers! I guess I am a box junkie, too! I use a plastic box from Dove or Olay face cloths. 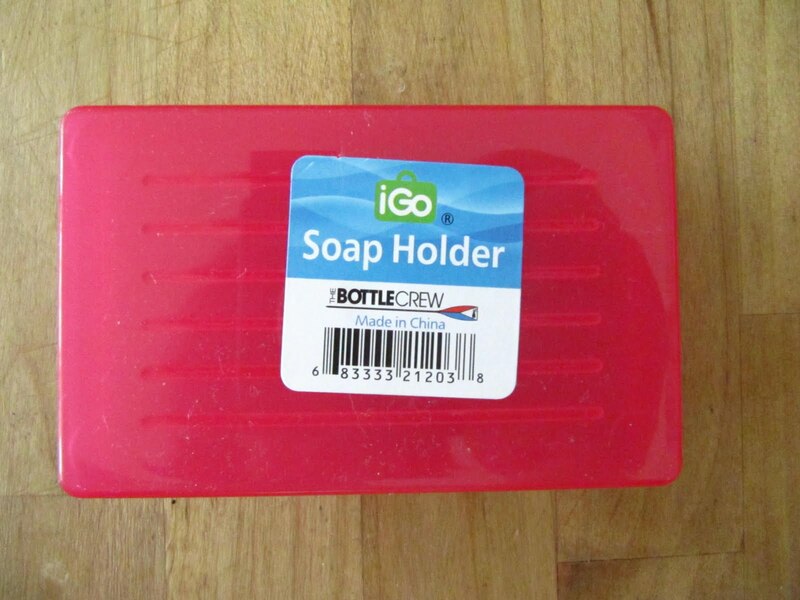 It has a flip top that snaps shut. It will hold small scissors, needles, pins, and about 8 small thread spools. 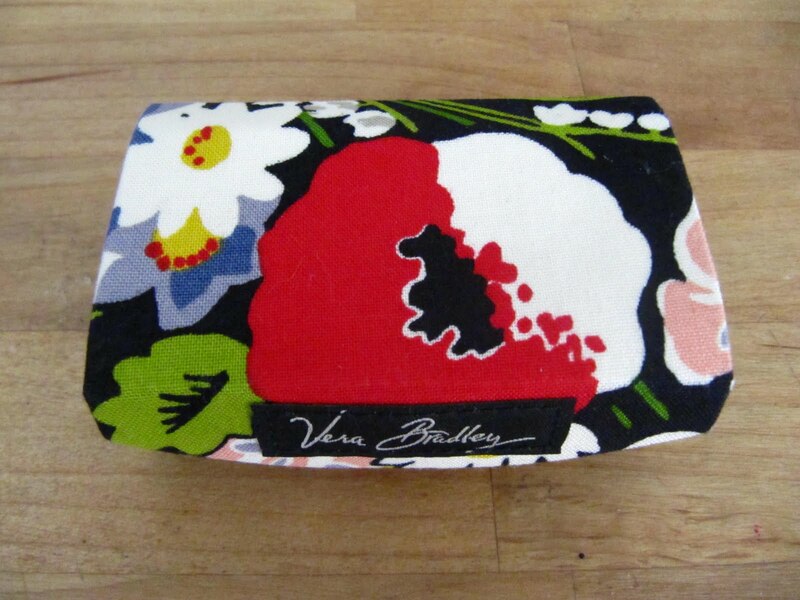 I take it along in a big ziplock bag with my miniature quilts, to do hand sewing of the bindings. wheels are turning way too fast. I only have one question~HOW do you ever come up with so many ideas the way you do? oh, so many ideas, so many...sew many. Some of us got it and some don't, but my sewing group LOVE to check out your blog every week, when we meet, there is something to become newly famous, around Here, that is. Keep it up, please! This is my first visit to your blog. Zlaty sent me and I've been here for hours reading all your ideas and tips. My head is in overload now so I'll have to come back soon. As soon as I've collected all the tags from the bread, boxes from the take-away and every thing else I need for an organised life. These are some really great ideas! Now I am going on a scavenger hunt around my house for ideas. The mind boggles doesn't it when you start to look at things for carrying your sewing stuff in. You did it again! Used to tell my basketball girls "box out". You definitely make it "boxes in"! What a good way to recycle all those containers and boxes.I may never look at an empty container the same way again.Thanks for all those wonderful ideas. I love your way of thinking, "waste not, want not". We have 12 children and we have always improvised with what we could find around the house to fit our needs to serve us at that time. How clever!!!! Several of them I use now but others were new ideas for me. Thanks. Me, too, I use almost any box that has a lid, no matter what came in it. My studio is filled with lots of little boxes that hold small projects in process. Love it. You've hit this out of the park again! Very very good ideas. 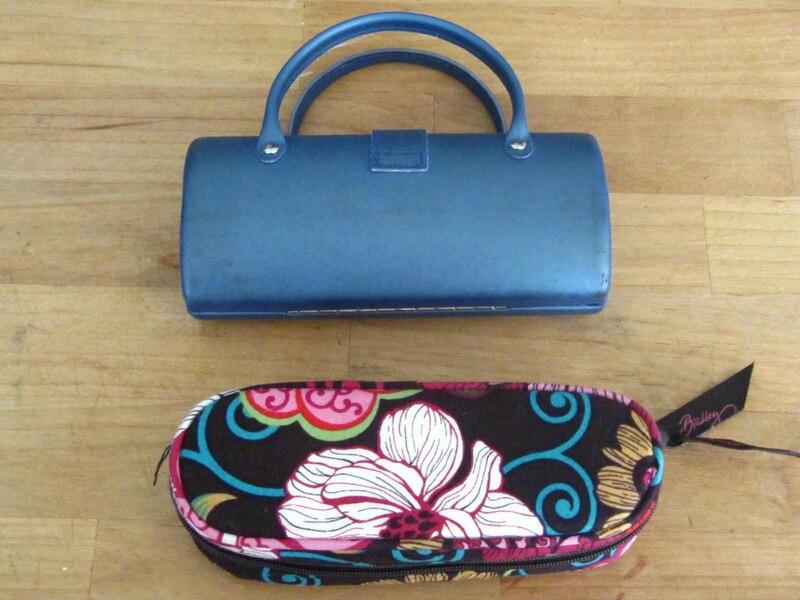 I love that little glasses case with the handle. I'd like that just for dragging my sewing things from upstairs down! Does that brain of yours ever sleep? 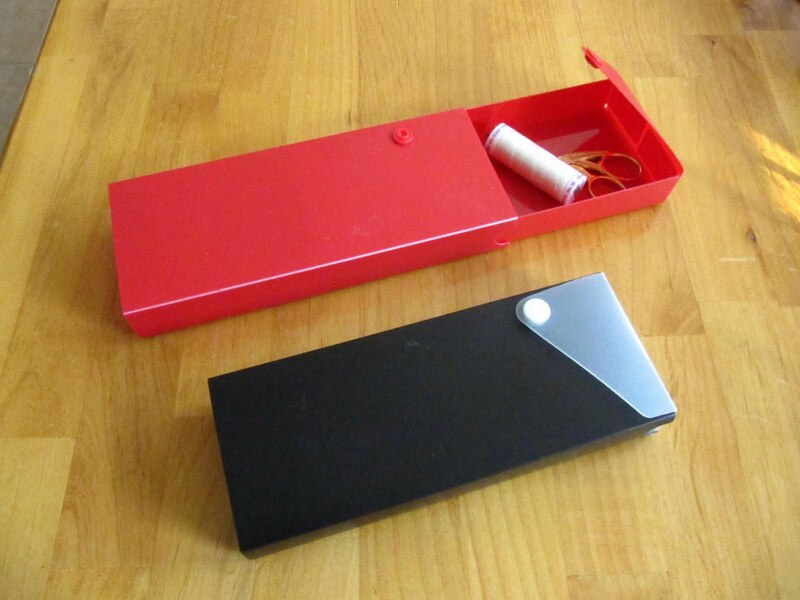 You thought up some clever places to store our stuff. I guess I need "trash therapy" as well! I just about fell off the chair when I read these lines: "His words...please don't take that home. Too late." My husband & I are of similar (or shall we say dissimilar) mind sets. He doesn't like recycling "litter-ally", nor repurposing specifically! I DO! 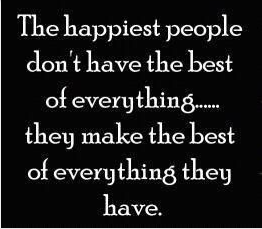 I love to think outside "the box", & rarely pass up a "good box". Does your husband object because of what others will think, or does he really think the salad damaged the plastic from ever being used again? My husband probably thinks both. Thanks for giving me such laughter today! And of course, a great idea of what to be on the lookout for as well!